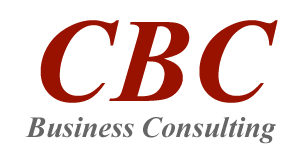 CBC Business Consulting provides clients the market intelligence they need to make informed decisions and grow their market share. Since 2000, CBC is offering China industry analysis to a variety of clients including Fortune 500 firms, SMEs and startups. We serve companies that are considering entering the market with little or no knowledge about China, and companies that already have an established presence and are looking for new growth opportunities. We also work closely with several governmental organizations to keep up with new regulations and changes. CBC established itself as one of the leading industry research companies covering the China market. Based on the client’s requirement, CBC prepares a strategy report that will help to better understand the dynamics of the target market. Our experienced consultants perform extensive quantitative and qualitative research in targeted industries and present you a detailed and in-depth report. Each project is customized to the client's specific needs and objectives to help you develop optimal solutions for entry and growth in the China market.